We don’t automatically think of Marcus Tullius Cicero, the eminent late Republican politician, as an ancient art historian. He is more remembered for his involvement in the infamous Catilinarian Conspiracy and his unpleasant demise (after his death, his hands and his head were nailed to the Rostrum in the Roman Forum). However, if we explore an earlier period of his career, he gives us an unexpected insight into one way that the Romans of his time thought about the role of art. In the whole of Sicily, such a wealthy and ancient province, I say that in a great number of towns and very rich families there was no silver vase, no Corinthian or Delian ware, no gem or pearl, nothing made from gold or ivory, no bronze, marble or ivory statue, no picture either on canvas or embroidery which he did not seek out, inspect, and (if it pleased him) took away. Compared to Verres’ sophisticated interest, in this speech Cicero takes on an outsider attitude to art. That is, he speaks as if he has no interest in art, no particular knowledge of it, and doesn’t possess Verres’ level of artistic expertise. When he mocks Verres for claiming that he bought a Cupid by Praxiteles for 1600 sesterces, a ridiculously small sum for a work by a well-known sculptor, Cicero envisions a hypothetical interlocutor asking whether he himself sets any high value on statues by Praxiteles, Myron or Polyclitus. “No,” replies Cicero, “I don’t” (2.4.13). But it’s not his judgement that’s at stake but that of people who buy this sort of thing on the open market. Since bronzes of moderate size (and presumably even more moderate craftsmanship) are sold for 40,000 sesterces, Verres’ case that he bought the Praxiteles' Cupid at a fair price is blown out of the water. Despite Cicero’s description of art in terms of the market value others set on it instead of its aesthetic value, he undermines his own claims to ignorance through the way he talks about art’s purpose. Cicero’s concern about Verres’ attitude to art is based on a fundamental disagreement about what art is for. Verres sees art as a private pleasure that he will squirrel away in his house for himself and his friends. Cicero, by contrast, speaks approvingly of art that is located in public spaces like temples and available for everyone to see. The bronze statue of Diana, which had been kept at a temple in Segesta and was an object of local veneration, provides an excellent example (2.4.72-79). Verres saw the statue and asked the local magistrates to give it to him; they refused, out of piety and fear of punishment. When Verres could not persuade them, he bullied the city into giving him the statue through imposing harsh tribute requirements and personally threatening citizens. When the townspeople eventually gave in, none of them would move the statue – Verres had to get in foreign workmen to do it. All through this narrative, Cicero comes down very firmly on the side of the townspeople who value this art object for its religious significance as much as its aesthetic value. It’s not that Cicero entirely disapproves of relocating art from the provinces back to Rome. He compares Verres to Marcellus, a young general who sacked Syracuse and took outstanding works of art from it – but put them in the temple of Honour and Virtue or a similar location, not his private house (2.4.121). He also left a good number of decent statues in Syracuse for the local inhabitants to enjoy, most notably the statues of the gods. Cicero makes a special case study of the temple of Minerva, which Verres subsequently stripped of its statues and paintings (2.4.122). There are unspoken rules of going about this sort of thing, and Verres has broken the lot. He has not respected religious art in situ; he has not left enough behind to stop the locals becoming resentful of Roman power; and he has taken artwork for his private enjoyment rather than for public display at Rome. 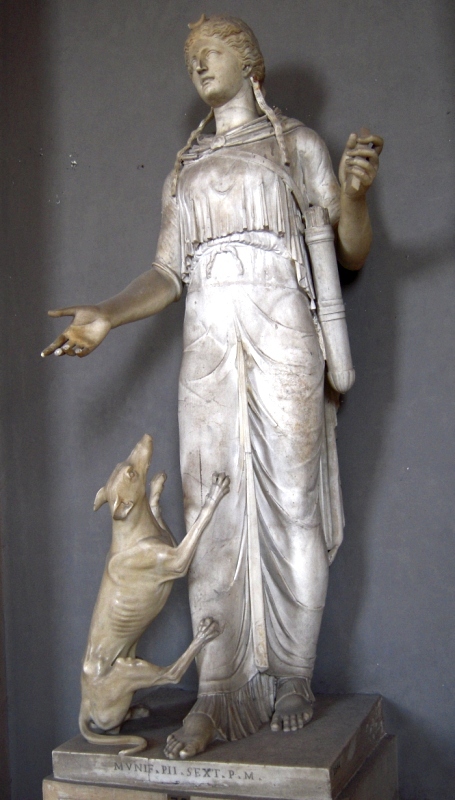 Cicero describes the statue of Diana at Segesta, saying that he had been taken to see it when he was quaestor in Sicily by the townsfolk: “the statue was certainly large and noble, with a stola; nonetheless there was in its greatness the age and demeanour of a virgin; arrows hung from her shoulder, she held a bow in her left hand, and carried a burning torch before her in her right” (2.4.74). Again, there’s a tension here between Cicero claiming indifference (he was taken to see the statue, he did not seek it out) and the attention he must have paid to it in order to describe it and judge its qualities. Cicero’s descriptions of art vary in what they choose to record; for instance, when he describes a statue of Apollo taken from a temple of Aesculapius, he mentions only that it was “very beautiful”, and had the name of Myron written on its thigh in small silver letters (2.4.93). When he describes the bronze statue of Hercules at Agrigentum, which he says he thinks is the most beautiful thing he has ever seen, the only descriptive detail he provides is that “his mouth and chin are a little rubbed away, because people are accustomed not only to worship it but even to kiss it in their prayers and thanksgivings” (2.4.94). Cicero’s main descriptive word for the art works he mentions seems to be pulcher – rather like a prosecutor in an art theft trial today continually describing the objects of the theft as “pretty”. (For contrast, we might look to Pliny the Elder’s Natural History, which gives much more detailed descriptions of art works and is sometimes considered the earliest work of “art history”.) Instead, he focuses on the sign that shows the importance of the piece in a religious context. With that in mind, it’s interesting to note that he is a little more forthcoming about the paintings Verres took from the temple of Minerva on Sicily. They were, he says, “twenty seven beautifully painted pictures, upon which where portraits of the kings and tyrants of Sicily, which not only gave pleasure from the talent of their painters, but also from the commemoration of men and the knowledge of their appearance” (2.4.123). Again, Cicero values art for a double purpose. 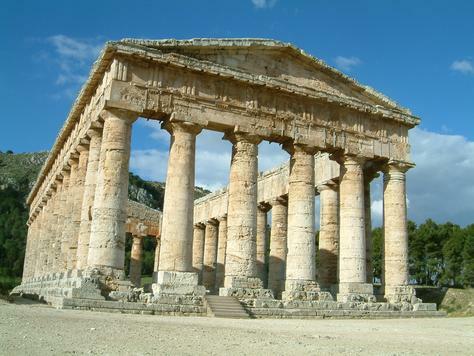 Where the Diana of Segesta deserved mention because of the religious devotion it inspired, the paintings of the rulers of Sicily get more description because of their role as historical records. For the persona that Cicero adopts in this speech, art needs to have some quality beyond aesthetics to warrant a detailed description. Perhaps the best close to these musings is the close of the Verrines itself. Cicero uses a lengthy address to all the deities who have been outraged by Verres’ plundering of Sicily to recap all the outrageous deeds that Verres stands accused of. He asks that if he has done his best to conduct this case with integrity and with the interests of both Rome and her allies in mind, that the jurors will approach their judgement in the same mind; and that if Verres is guilty of all that he has been charged with, he will be convicted as such. Each god’s name invokes a previous outrage, often involving theft of artwork from a temple. Cicero’s main view of art in this is as a focus for religious devotion – and Verres’ actions have certainly not been driven by piety. Dr. Liz Gloyn is currently a Teaching Fellow in Roman Literature at the University of Birmingham's Institute of Archaeology and Antiquity. Her PhD thesis examined the ethics of the family in Seneca's philosophy; she also works on the Roman novel, gender in the ancient world and classical reception. She blogs about her research and teaching at Classically Inclined, and can be found on Twitter as @lizgloyn. Dr. Gloyn would like to thank Dr. Isabel Köster whose work on the Verrines drew her attention to the important role that sacred art plays in the overall discourse of Cicero's speeches, and to the potential interest of this discourse to art historians. Very interesting piece. It appears that Cicero employed what has become almost an archetype in American television--the detective or lawyer who pretends to be "dumb" or stupid in order to make a larger point. One more thing: that detail of Titian's Diane is awesome, which compelled me to look at the painting in its entirety. But Titian's Diana and Actaeon was even more shocking! Cheers Vicky - Glad you enjoyed the post. Even better too that you discovered Titian's famous Diana. Cicero's antics would indeed seem very familiar to modern TV audiences! Given his interest in religious art, do you think that Cicero might have found Titian's work distasteful? If he found titian's work distasteful you can only imagine how he would view rubens! @Frank - It's probably better to focus on what Cicero did tell us of the art of his era than speculating whether he would have thought of an artist 1500 years hence. From a technical standpoint at least, perhaps we could say Cicero would have appreciated the crisp naturalism of Early Titian more than the more experimental, painterly later works - which even some contemporary sitters complained of as roughly finished.